In the space of only a week, you can experience the best wine, outback and wildlife South Australia has to offer. The WOW tour – wildlife, outback and wine – explores places like Adelaide, Kangaroo Island, Clare Valley and Flinders Ranges. Adelaide is a great place to begin, as it is rich with culture and historical matter that will leave people mesmerised. Places like the Adelaide Botanic Gardens and the National Wine Centre of Australia are just the tip of the iceberg when it comes to things to see and do in this neck of the woods. From here, Glenelg is a quick 30-minute tram ride away, and is where you can enjoy the city’s most popular beach. 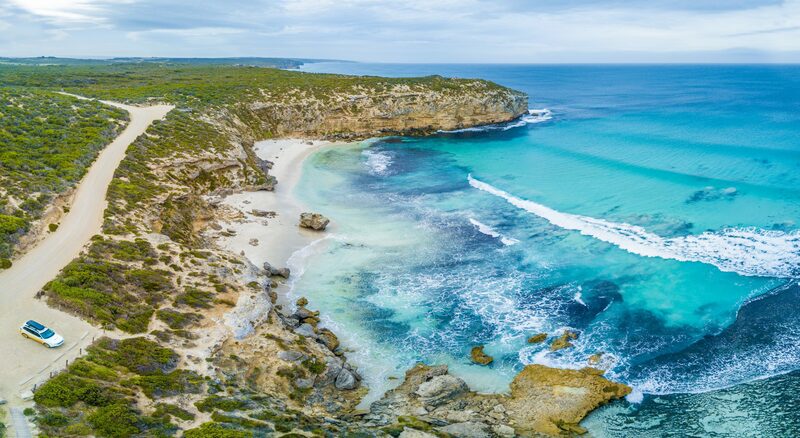 Next on the tour is Kangaroo Island – 509 kilometres of coastline and 155 kilometres from the east coast to the west coast. The area features native wildlife, vast areas of bushland and adventures galore. After all that exploring, it’s time to visit the wine capital of the state (and some may argue, the country) – the Barossa Valley. Barossa’s way of life is wine. It’s home to more than 550 grape growers who source their produce to over 170 wine companies. Your next stop is two hours north of the Barossa – the town of Melrose. Proudly the oldest town in the Flinders Ranges, Melrose is below Mount Remarkable, a national park in the Flinders Ranges boasting a diverse range of wildlife, camping grounds and bushwalking trails. The last stop is a little further north to a place called Wilpena Pound. This natural amphitheatre and its gorges offer a plethora of trails and wildlife. While Wilpena Pound is notoriously known for bushwalkers, the road to the pound also showcases some of the best views the entire country has to offer. Lastly, as you make your way back to Adelaide, it’s imperative to make a stop at Brachina Gorge, which boasts a popular camping area and picnic spot. As the cherry on top to this wonderful trip, the Geological Trail uncovers – unsurprisingly – the geological history of the area, with different signs located at different points of interests throughout the length of the trail.